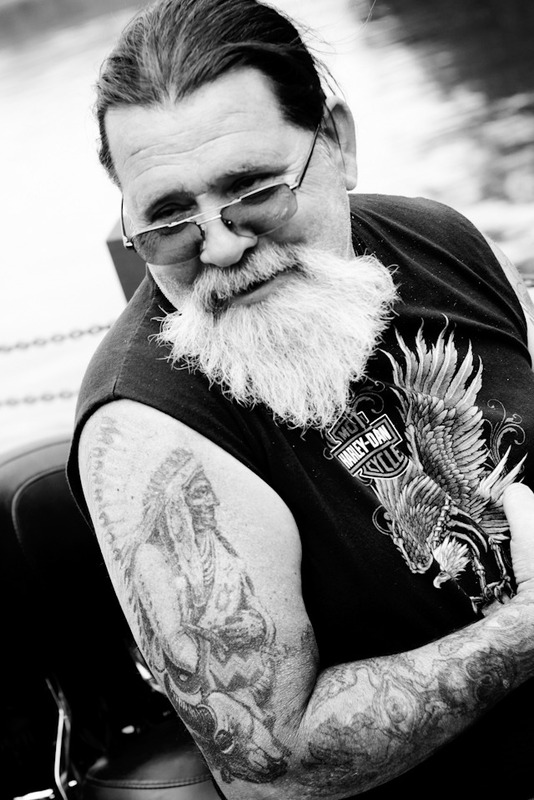 A biker proudly shows off his intricate ink while traversing the Susquehanna River on the Millersburg Ferry. The many highways and country roads are hugely popular with bikers, especially during the warm, summer months. People of the Susquehanna is an ongoing photography project which seeks to explore the lives and people who make up the Central Susquehanna Valley. What was once an area primarily settled by the Pennsylvania Dutch, the Central Susquehanna Valley now comprises myriad cultures, an emerging melting pot of ethnic, political, and social diversity. These are the people, these are the faces who make up my home.